At the time, Puma told AdNews it was planning a threefold increase in marketing spend in 2015/16 to reposition more strongly as a sports brand and shed the lifestyle image it had chased in recent years. However, the brand’s presence in Australia has been minimal and no work has been produced by JWT. Following the appointment, Ogilvy Melbourne led several projects for Puma, including its 2016 AFL campaign. The most recent work came from Cummins&Partners last year for marriage equality. In recent weeks there have been decisions made on a slate of global reviews including Mercedes, GSK, United Airlines, Ford, Amex and more. Havas has won the media buying and planning for Puma following a global review. The review was part of Puma's strategy to "transform its consumer marketing approach and deepen its legacy as one of the world's leading sportswear brands", the company said in a statement. Locally, Blue449 Melbourne is the incumbent. Blue449 client partner Garth Moring said: "We have thoroughly enjoyed helping build the PUMA brand here in Australia. We're proud of the work we have produced together and wish the PUMA team all the best in the future." 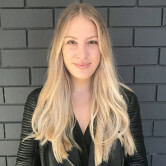 While the account is said to be worth more than $150m globally, AdNews understands the account is worth $500,000 locally. On the creative side, Puma appointed J. Walter Thompson globally in 2014.